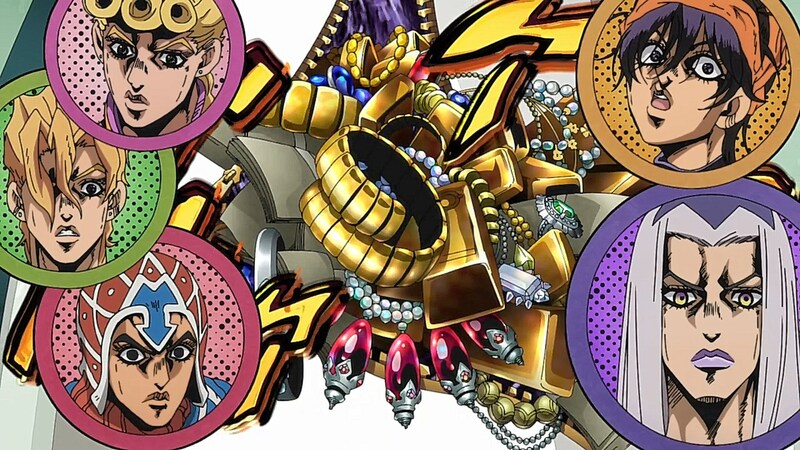 Now that Zucchero and Sale are apprehended, our boys in Passione can finally take on Polpo’s treasure. 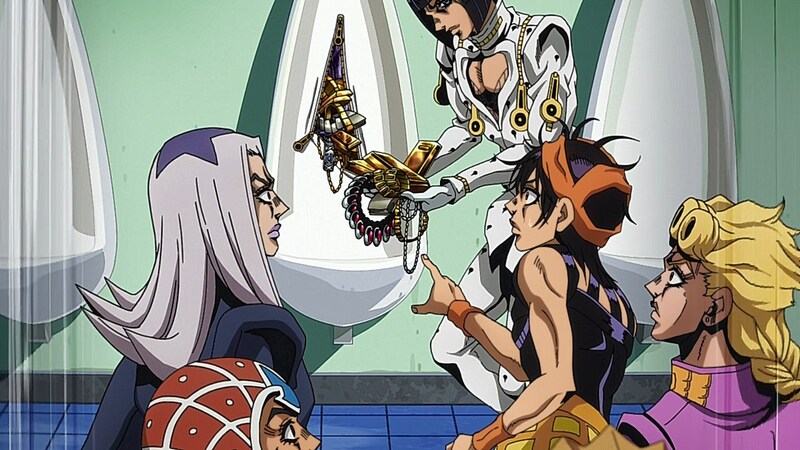 However, Bruno knows full well that finding the treasure was only half of the task as he meets up with their capo Pericolo, who is in disguise to make it easier to find the treasure hidden in one of the men’s urinals. 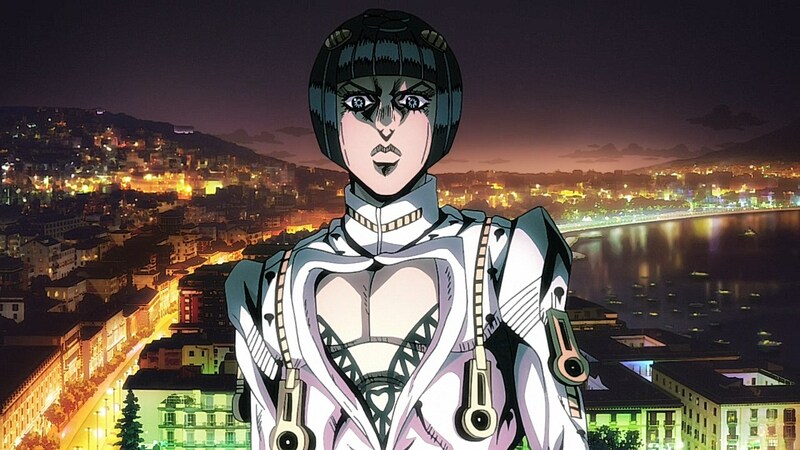 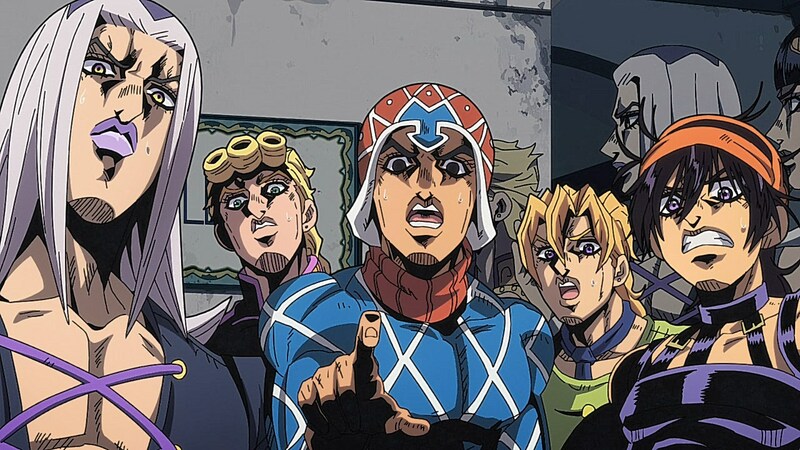 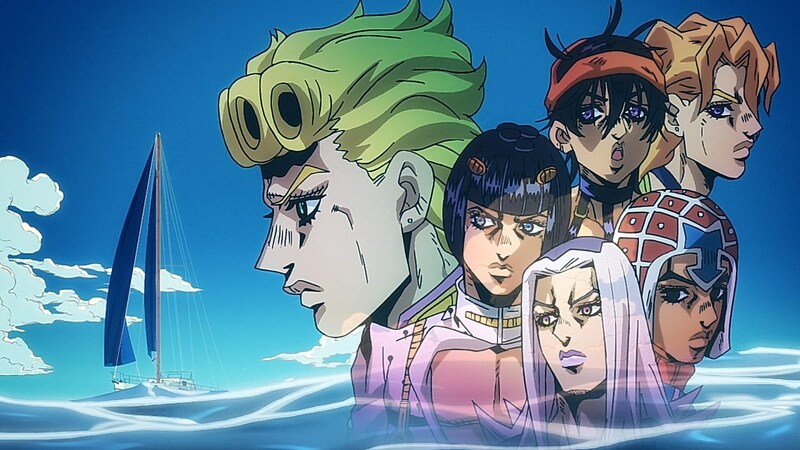 However, because Polpo’s death resulted in Bruno getting promoted to take his place as the capo that rules over Naples, he is now responsible for all of the tasks that Polpo had to do before his demise. 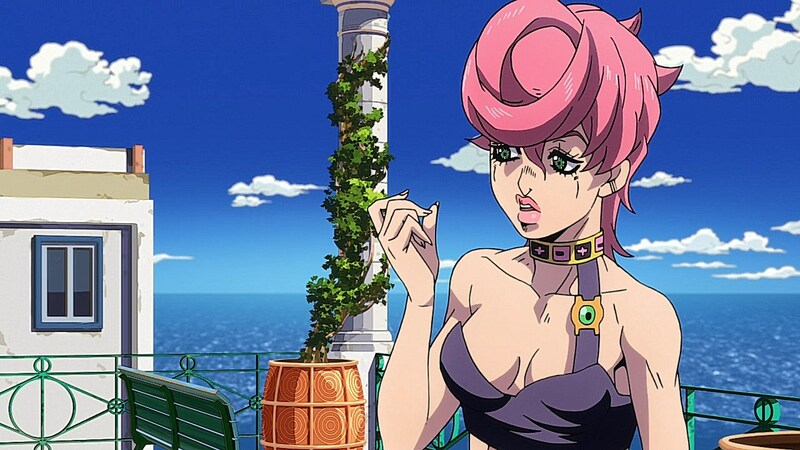 This opens up what will become the crux of this part’s conflict in taking on Polpo’s final task of protecting the boss’ daughter, Trish Una. 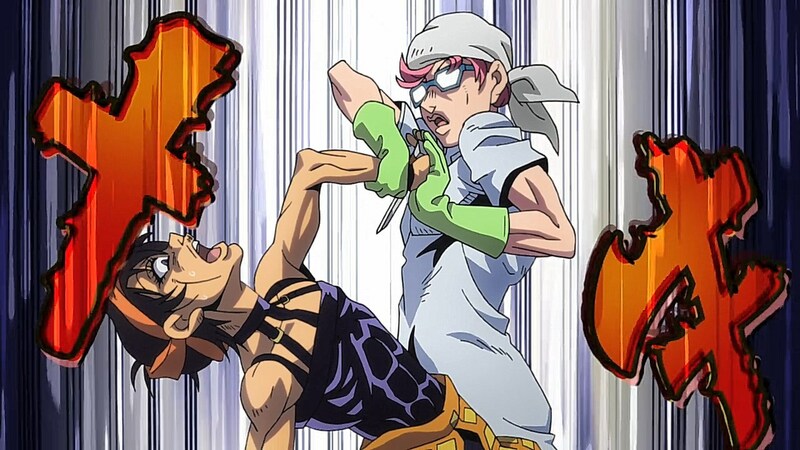 Trish’s introduction was quite fun as her disguised form gave her the chance to show off her CQC skills in twisting Narancia’s arm to point his knife back at him. 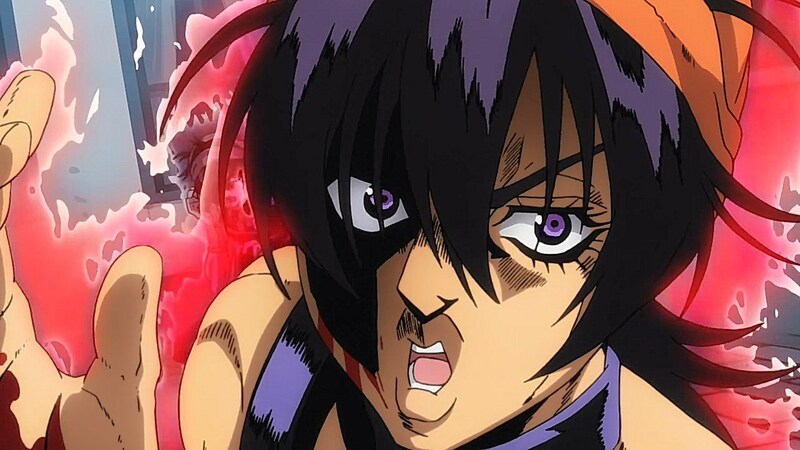 Her attitude is also a nice change of pace as her sass when she asked if Narancia’s name happened to be “Toilette” and if it was his home after he got defensive about having her come in. 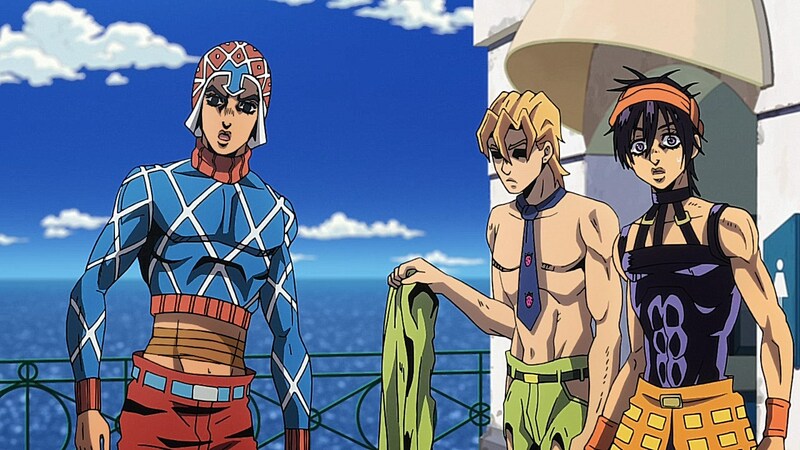 It was also funny to see the build-up to having Fugo take off his Swiss cheese outfit only for her to use it as a handkerchief to wipe her hands down. 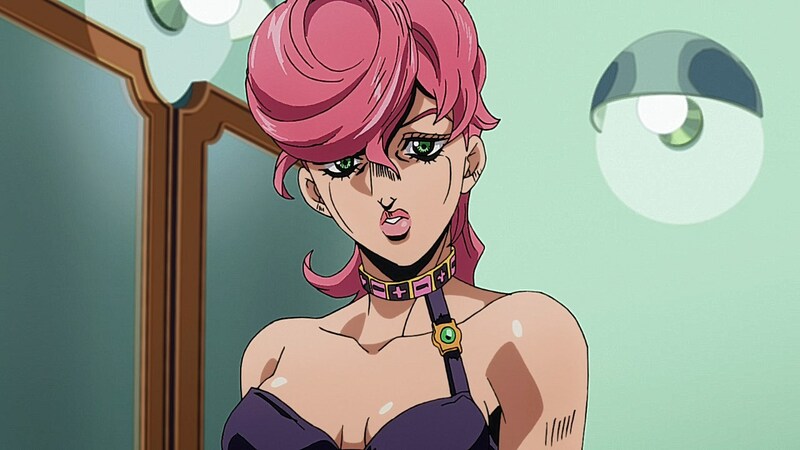 She has a level of cheekiness that would be fun to see her play off of more once she ends up having to be a closer part of Passione’s unit now that she’s under their protection. 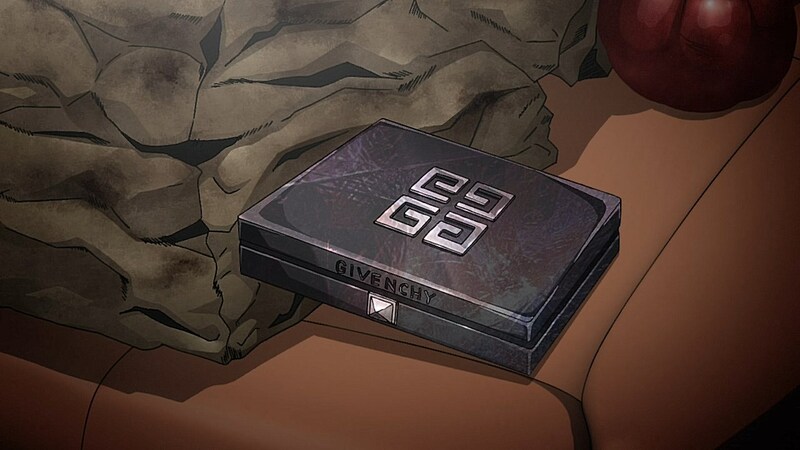 To use her pull as the boss’ daughter to make them buy her Givenchy blush and French mineral water rather than bending over backward to feel indebted or shaken by her predicament was an amusing way to have her introduced in the series. 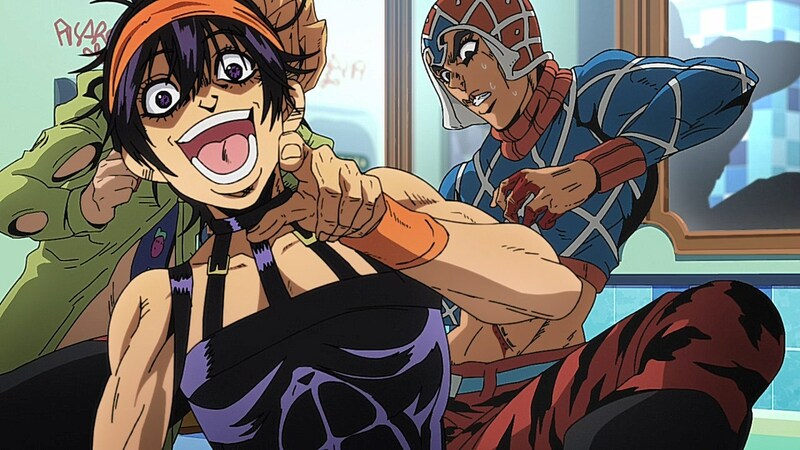 This is also Narancia’s chance to shine as he is tasked with the job of picking up all of Trish’s bougie fashion items. 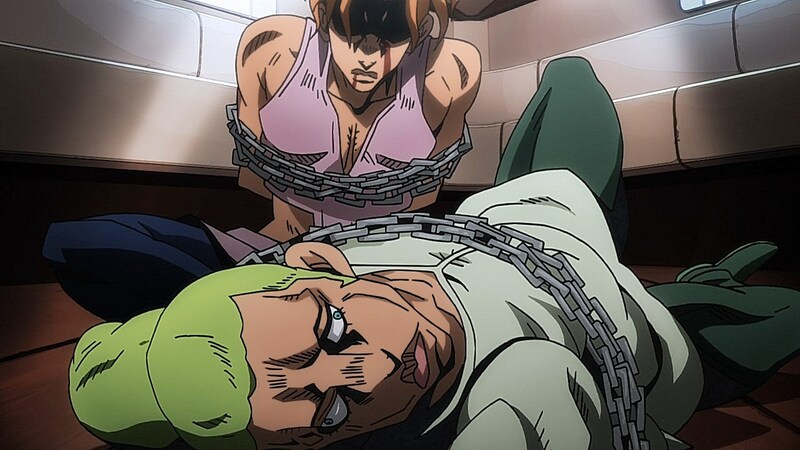 He relies on Fugo to help him understand the directions and actions he should be taking, but finds it hard to stick with the program. 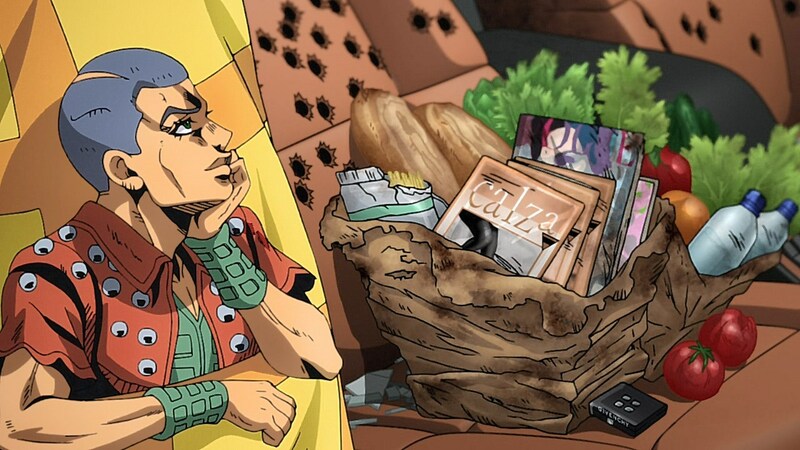 His trouble with math had foreshadowed how much Fugo both looks over Narancia and reprimands him for not soaking in knowledge as quickly. 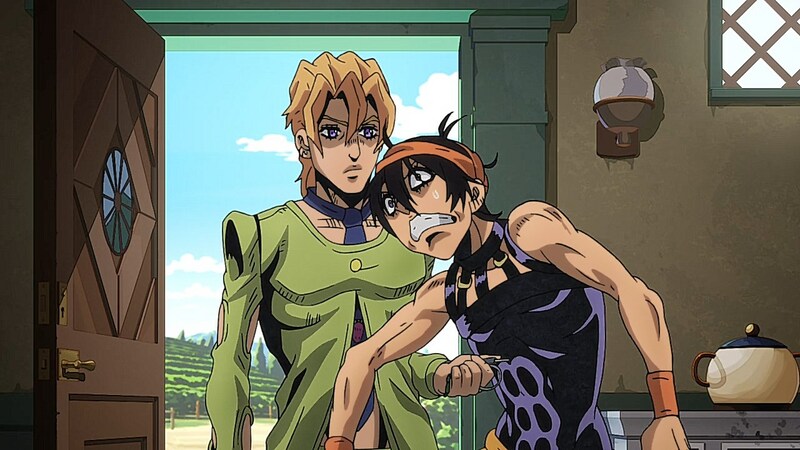 Of all the people in Passione to take on such a task after receiving the mission of keeping Trish safe, Narancia proves himself to be the absolute worst choice to take on such an errand as he isn’t able to look discreet in his chores at all before Formaggio catches him. 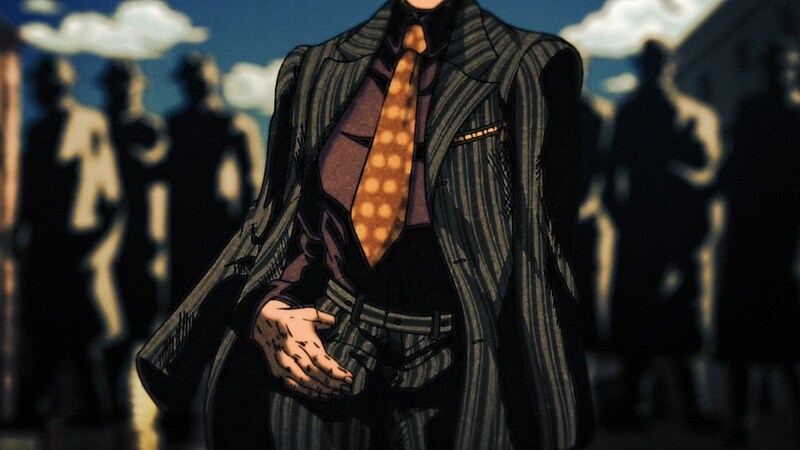 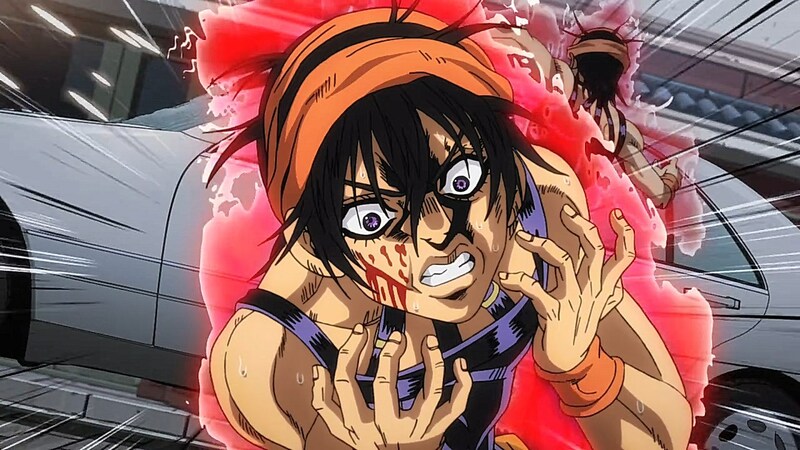 With the knowledge that Pericolo gives them about traitors who would love to capture and murder Trish themselves and the info the audience is given about Formaggio and his circle of friends receiving word that someone has Trish protected, it was pretty ballsy to rely on Narancia to take on a task by himself without having Fugo assist him and without anything more than a map telling him to drive in circles. 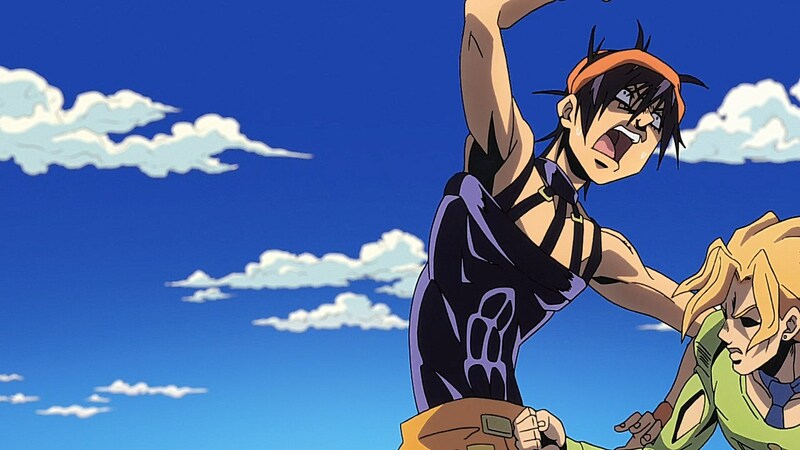 The beginning of the current fight introduced Narancia’s stand Aerosmith and Formaggio’s stand Little Feet (or Little Feat depending on if you’d prefer the translation or the real band’s name), but it’ll be fun to see how the anime pulls of a fight between a fighter jet stand and a shrinking stand. 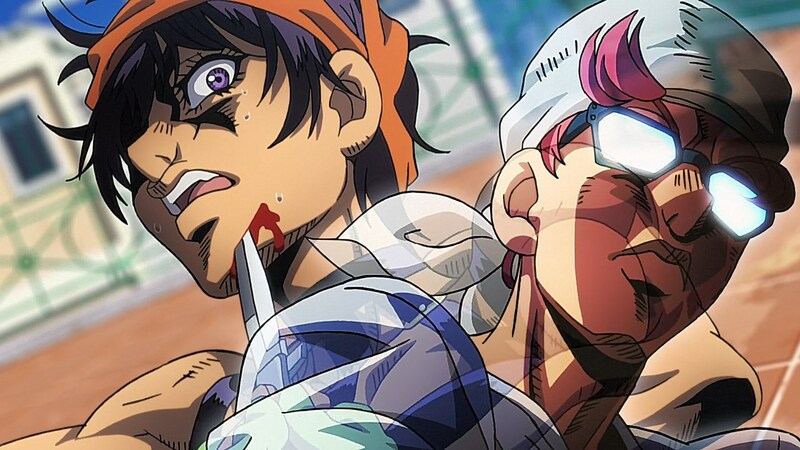 that blade was totally digging in Naracias face!…2 min later, no scar no blood, no worry’s?? 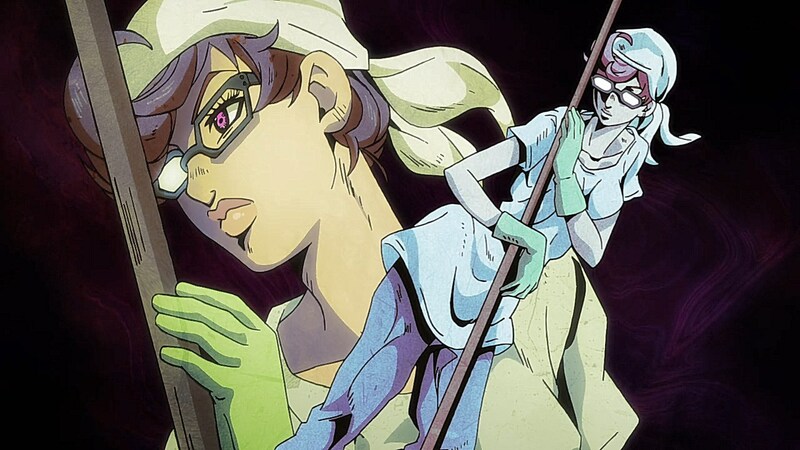 Duh, this is JoJo. 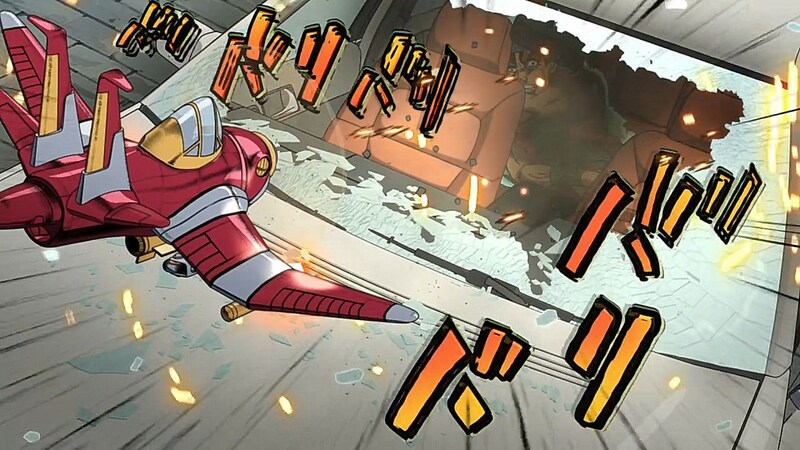 That’s just a scratch. 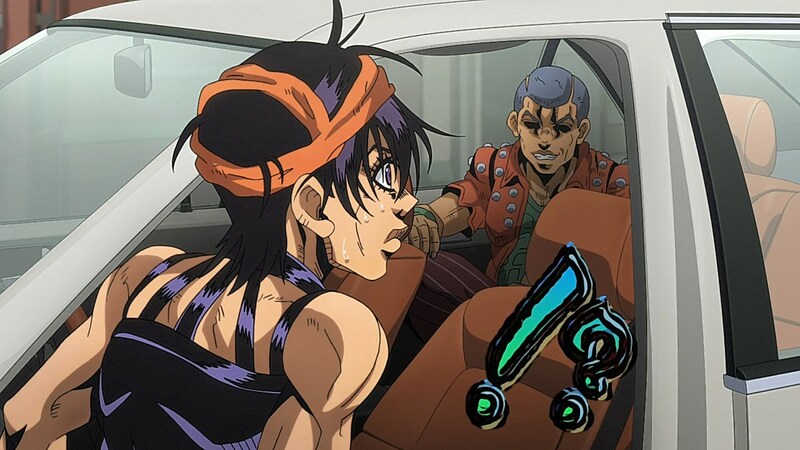 Damn, it’s been 20+ years and that song’s still stuck in my head. 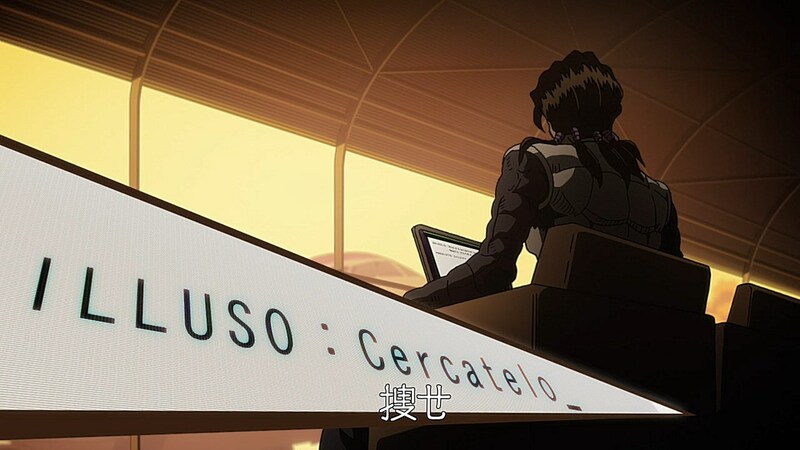 Anyway, let me get this straight…Bruno’s group just handed over Polpo’s riches to Pericolo? 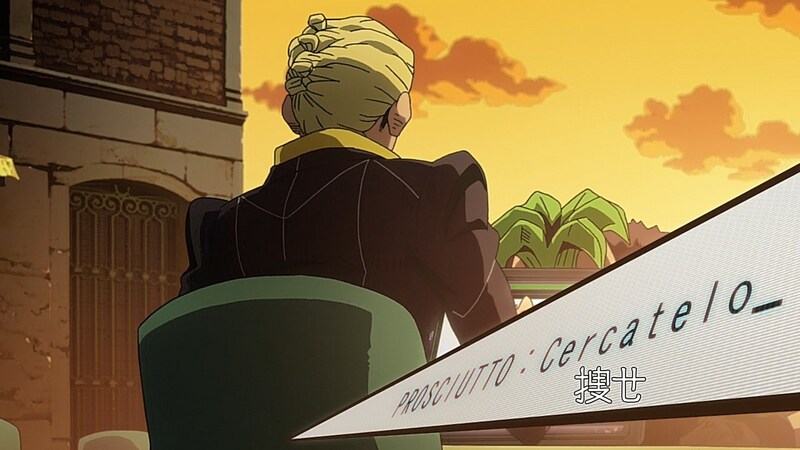 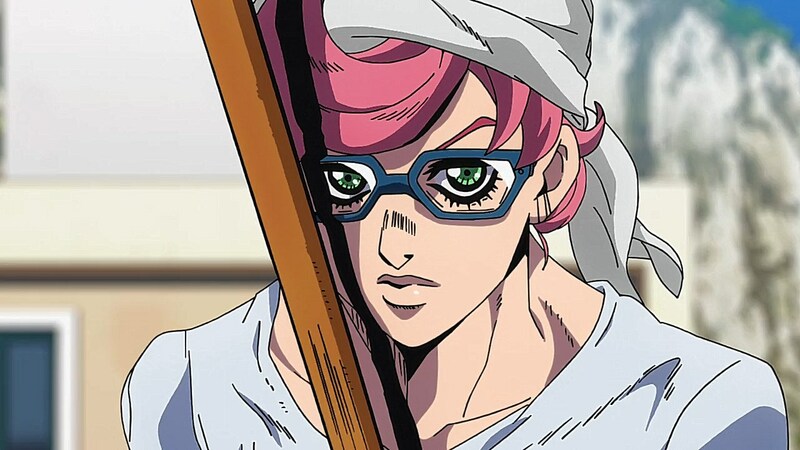 So much for that “Italian Job”… At least Bruno now has Polpo’s position, with the downsides of being targeted by rival gangsters within Passione and serving as bodyguards to the very demanding Trish Una. 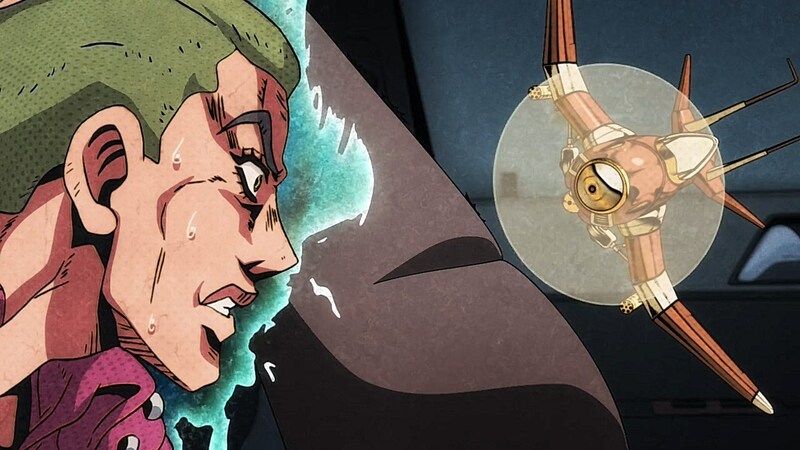 Also, any more Part 5 memes about to happen between this episode and finding(?) 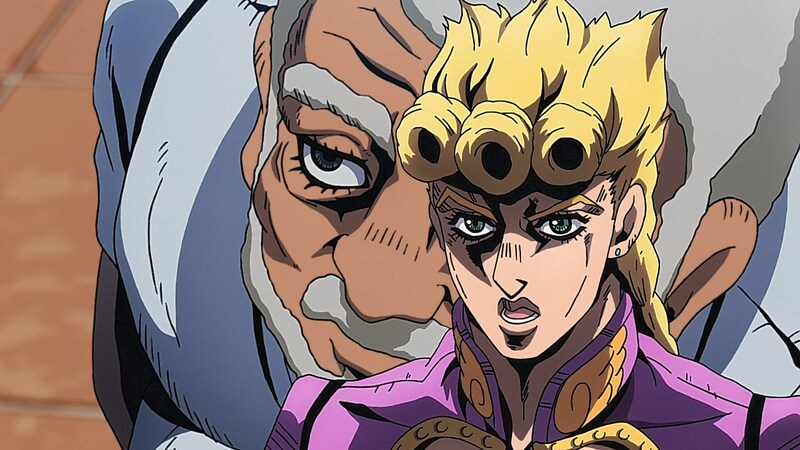 Coco Jumbo? 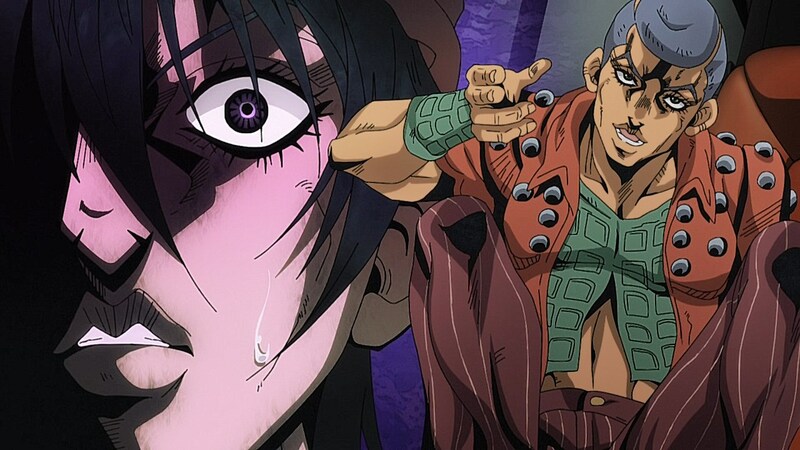 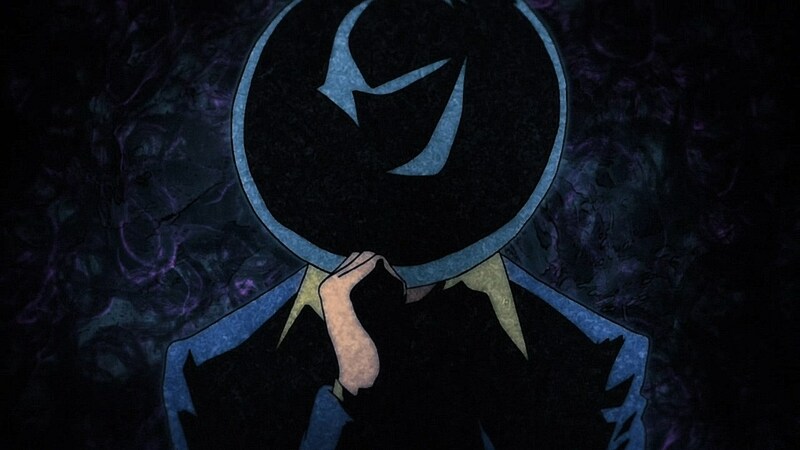 It did take a while before Diamond is Unbreakable‘s (in)famous “Duwang” scene came out in animated form. 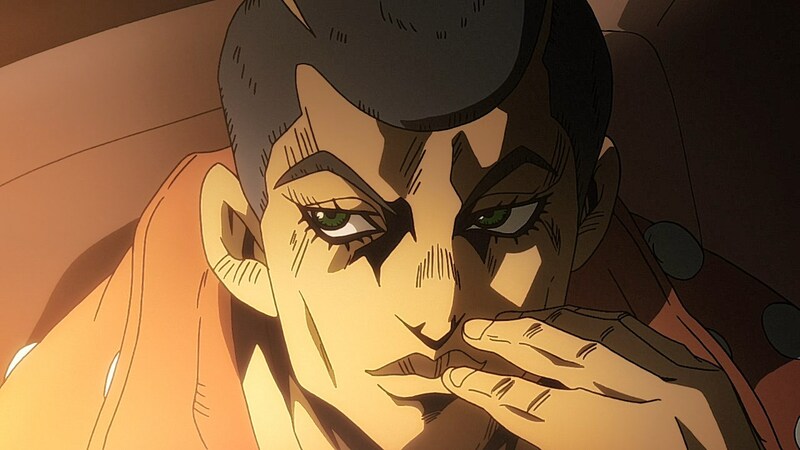 I think the only thing that stands out for meme-related stuff between now and Coco Jambo is with the fight after this one. 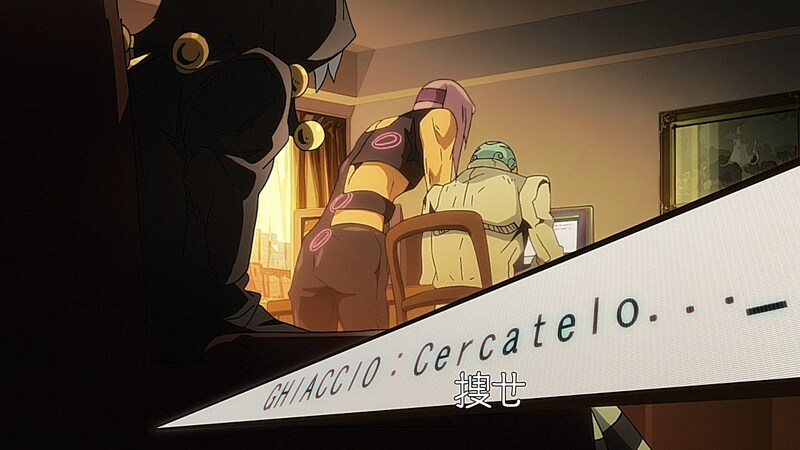 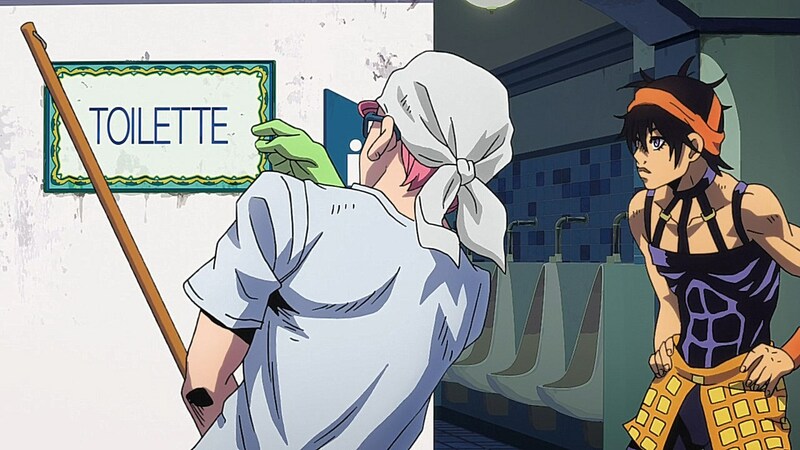 Where Fugo gets trapped in a mirror world and sees the lettering on a trashcan in reverse. 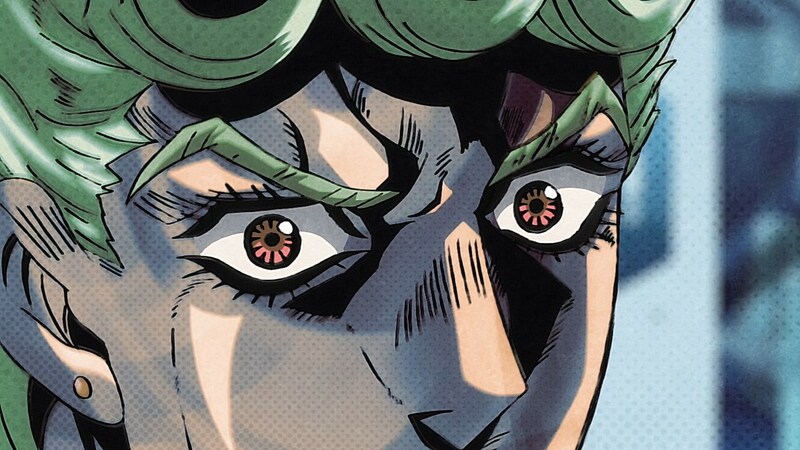 One of Antfish’s Part V jokes was to compare what Kakyoin thinks of mirror Stands and how Passione deals with mirror Stands. 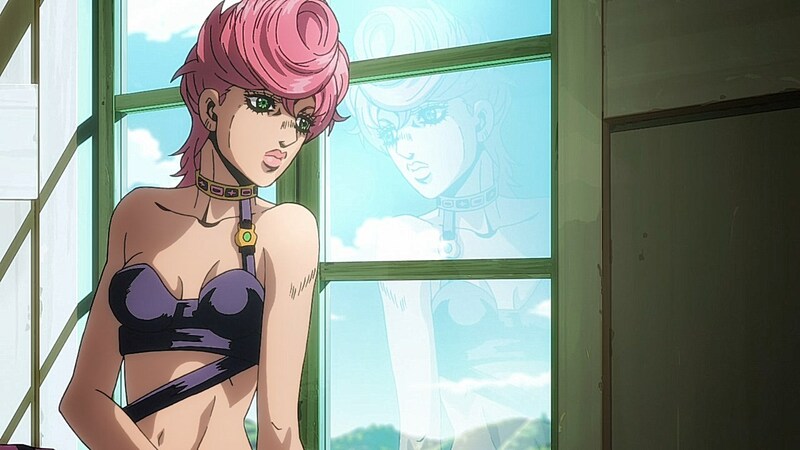 Too bad you didn’t include screenshot of Trish’s buttcheek as she walks away fron the gang.